In 1999, then Chief of Naval Operations Adm. Jay L. Johnson announced that June 4 would become as significant as October 13 — the Navy’s birthday. “Twice a year, we will pause as a Navy to reflect upon our proud heritage and to build in all hands a renewed awareness of our tradition and history,” Johnson said. This year’s Battle of Midway Celebration Dinner was held at the Army-Navy Club in Arlington, VA, and I was honored to be the keynote speaker. In attendance were several veterans of the battle, representing the air, sea, and undersea forces that secured victory at the turning point of the war in the Pacific. My address focused on the role of the submarine Nautilus in the battle. Along with James Delgado, NOAA Director of Maritime Heritage, I was very pleased to receive a commemorative silver coin from the International Midway Memorial Foundation. 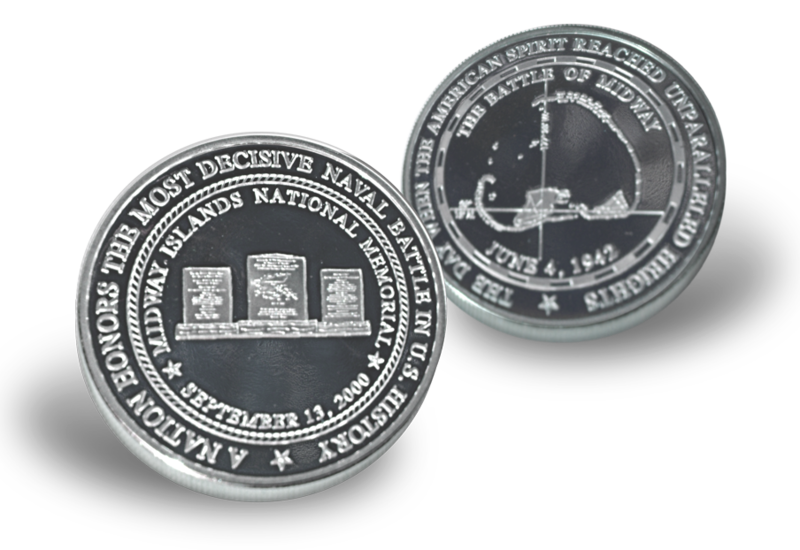 Other sponsors included the Naval Historical Foundation, the Navy League, the Naval Submarine League, and the Naval Institute.